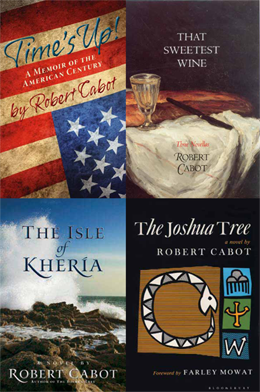 A veteran of many of the campaigns of World War II, Robert Cabot fictionalized some of his experiences in his four years as a sergeant in his novel The Isle of Khería. He received degrees from Harvard College and Yale Law School, served for ten years in the Marshall Plan and foreign aid programs in Italy, Thailand, Sri Lanka, and Washington, D.C., and resigned from the foreign service in protest over U.S. policy in Southeast Asia. He has since worked with intentional communities, the citizen diplomacy movement, and environmental and social change projects. He lived for many years in Italy and Greece, returning to the U.S. in a solo transatlantic sail with his thirty-foot sloop in 1976. Writing, however, is his first love. He has written several novels. The most recent, the aforementioned The Isle of Khería, was published in 2012. Several of his articles are also published. Cabot is a fellow of the National Endowment for the Arts, the McDowell Colony, the Virginia Center for the Creative Arts, and the Ucross Foundation. Cabot lives on Whidbey Island, Washington, with his wife Penny. Between them, they have six children, and a bevy of children’s children. For several months a year he retreats to a mountain town in Southeastern Arizona where he is working on a new novel, The Mango Tree. 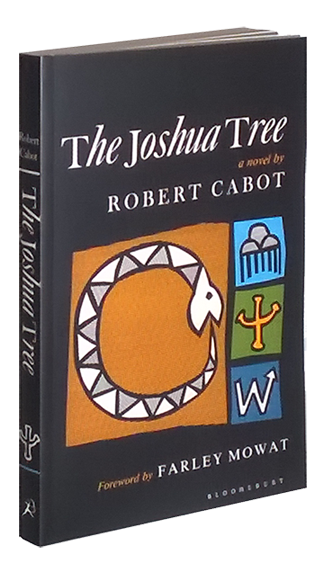 Cabot's first novel, offered by special arrangement.